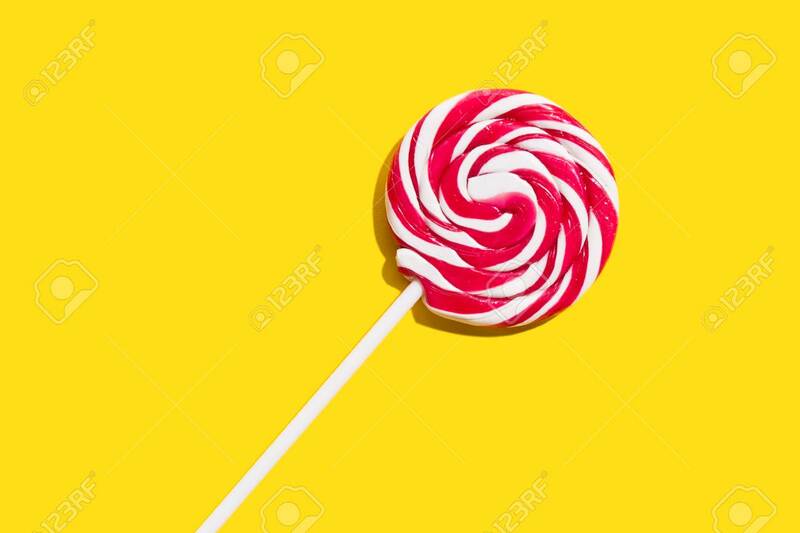 Colorful Funny Appetizing Lollypop Swirl Candy On Stick On Yellow Background. Party Happy Birthday Or Minimalist Concept. Lizenzfreie Fotos, Bilder Und Stock Fotografie. Image 114631444.